Lost Planet 2 is one of those games time simply stomped all over then punched out of your memory, but with a sequel on the way, the franchise has one more (last?) shot at relevancy. Which is as good a reason as any I can think of for this amazing Lost Planet 2 figure to only be turning up now. 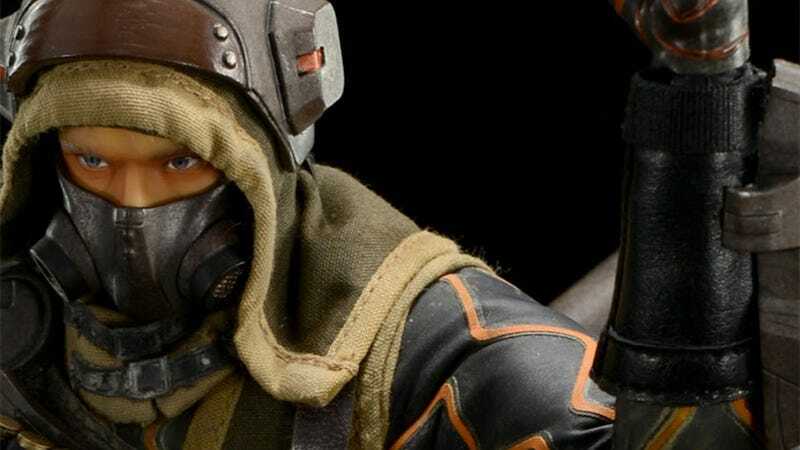 It's made by threeA, so it's both expensive ($160) and wonderful. Indeed, in terms of detail it might be one of the best Capcom-related figures of all time. Shame it's of a merc, then, and not at the very least Frightened Space Jesus (though maybe, since he's Lost Planet 3, he's still to come).